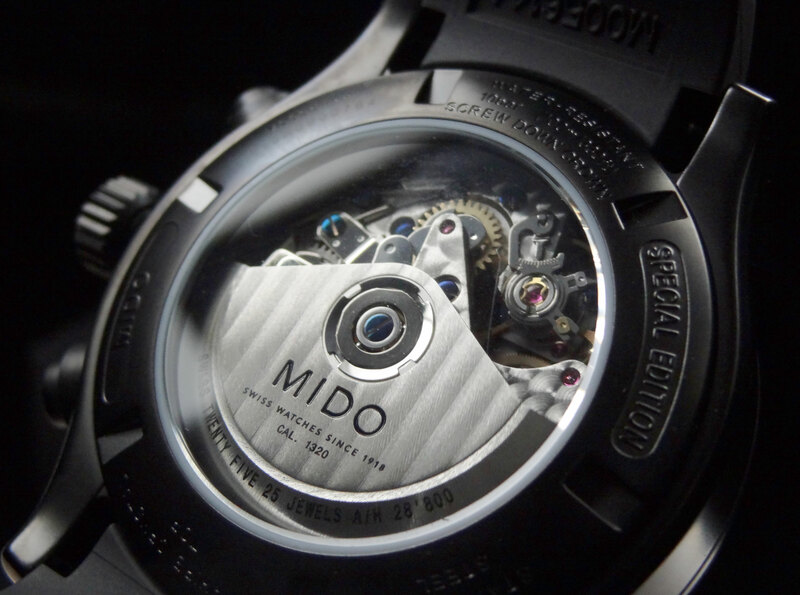 To those who aren’t familiar with Mido, you should really take a look at this brand. 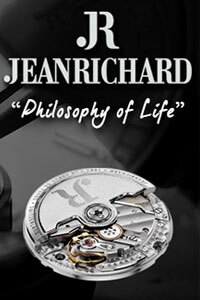 I can honestly say it is one of the best values on the market for a Swiss ETA automatic timepiece. 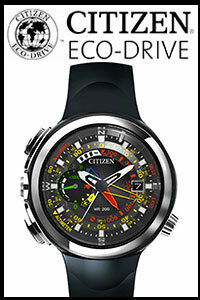 The brand itself is owned by Swatch Group (who also owns ETA) and uses all ETA movements throughout the brand. This obviously gives them the opportunity to price these out as good as they have. 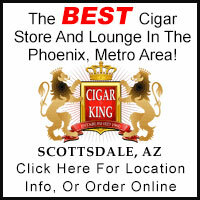 While the brand is still fairly small in the US, there is one model that stands out far above the rest. 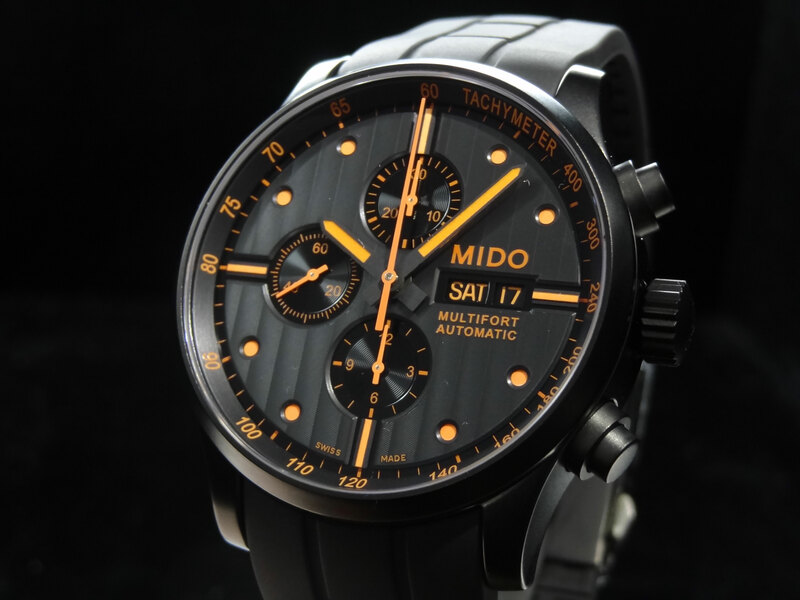 The Mido Multifort Chronograph PVD Special Edition M005.614.37.051.01. Mido was founded in 1918 but it was primarily sold here from the late 30’s to the late 70’s. Then, it pretty much disappeared from the US market. Mido was just introduced back into the US market about 6 or so years ago and AZ Fine Time has had them in store now for about 5. Mido’s name comes from the Spanish term “Yo Mido” which means “I measure” and was primarily marketed to the Hispanic regions of the world. 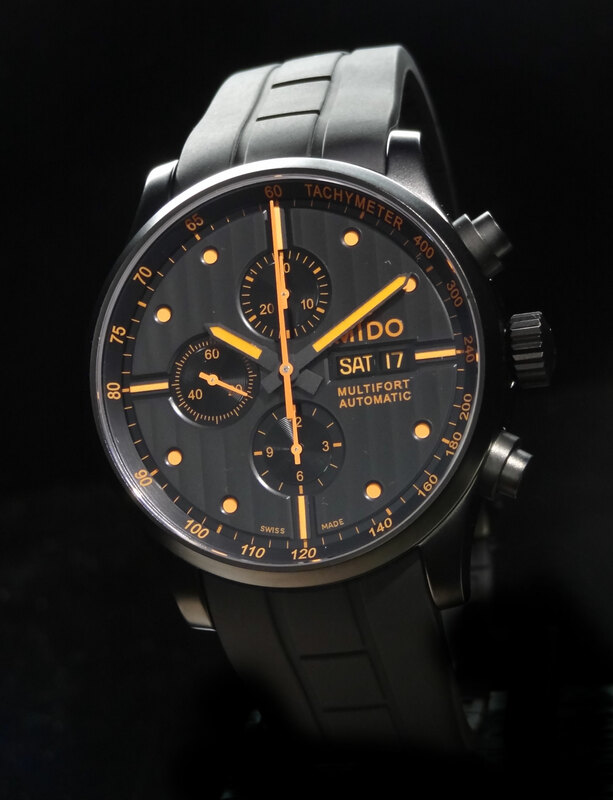 Today, Mido has done an excellent job of bringing the brand back strong and the Mido Multifort Chronograph PVD Special Edition is what I believe brought them there. The 1st Multifort was launched back in 1934 and was the first anti-magnetic watch with a self-winding movement with built in water and shock resistance. 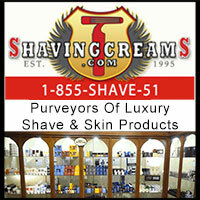 It was their best selling model back then and is our best selling model now. The Special Edition variation is not a limited piece to a certain number, but is small production. It is certainly a tough one to keep in stock, but because it is a smaller production piece and so popular, it is understandable why. 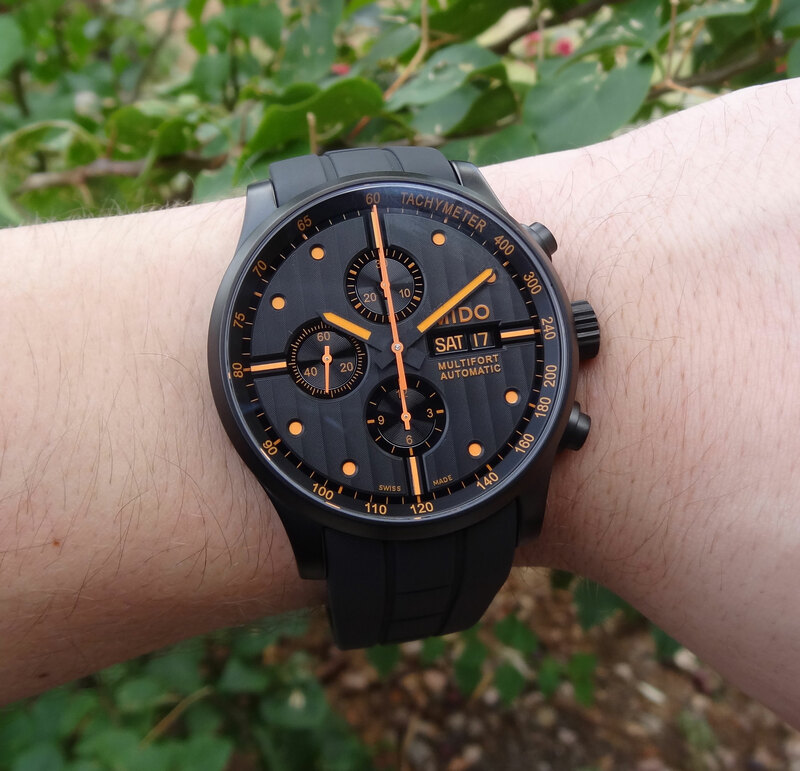 The Mido Multifort Chronograph PVD Special Edition M005.614.37.051.01 is a 44mm black PVD coated case with rubber strap and deployment clasp. The case is 14.5mm thick and the watch weighs in at about 139 grams. 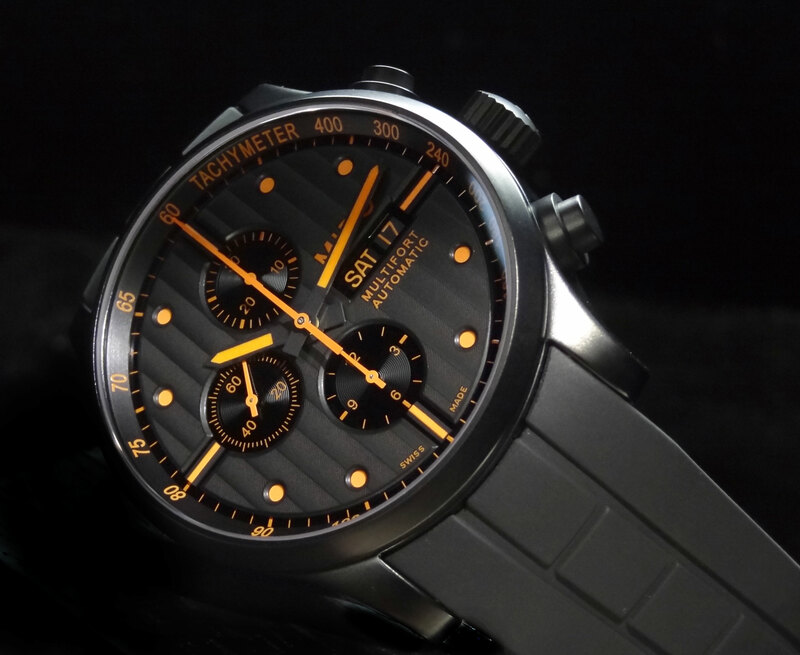 While it is a fairly large watch, it is not too overbearing for an automatic chronograph. I personally think it wears extremely well for its size. The dial is very sharp using Geneva striping on the black dial to give it tons of character, and does so subtly. 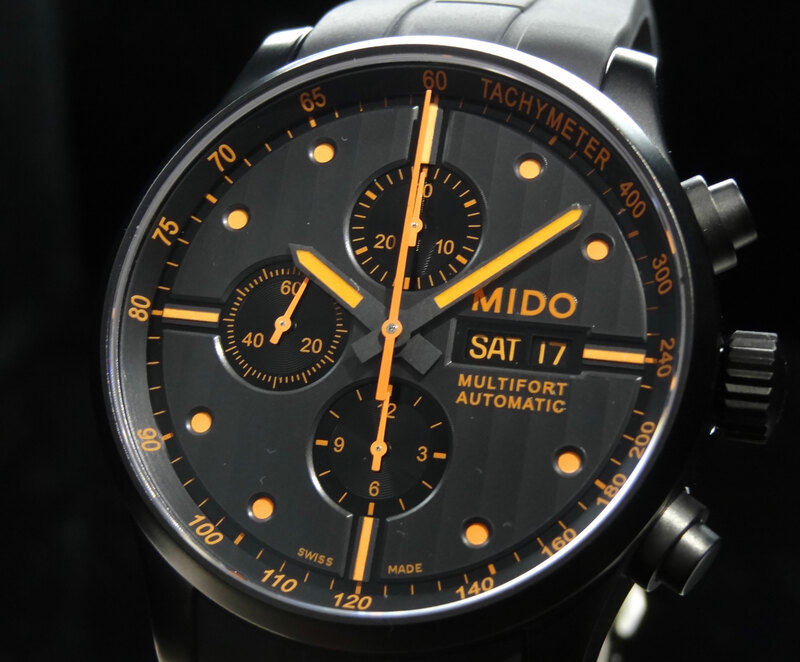 The indexes and hands are Mido’s iconic orange making them really pop off of the black dial. It certainly helps with keeping the piece clean and easy to read. It also has a dual coated sapphire crystal protecting the dial, and a sapphire crystal on the case back exposing the movement. The movement is a Valjoux 7750 that is top grade. While the watch is not a chronometer, the feed back on accuracy has been outstanding. The movement is decorated beautifully to say the least. Geneva striping occupies most of the rotor and there is perlage on near every plate and bridge throughout the movement. You can obviously see that Mido puts much time and effort in the decoration, where most other brands even close to the same price point fall short. 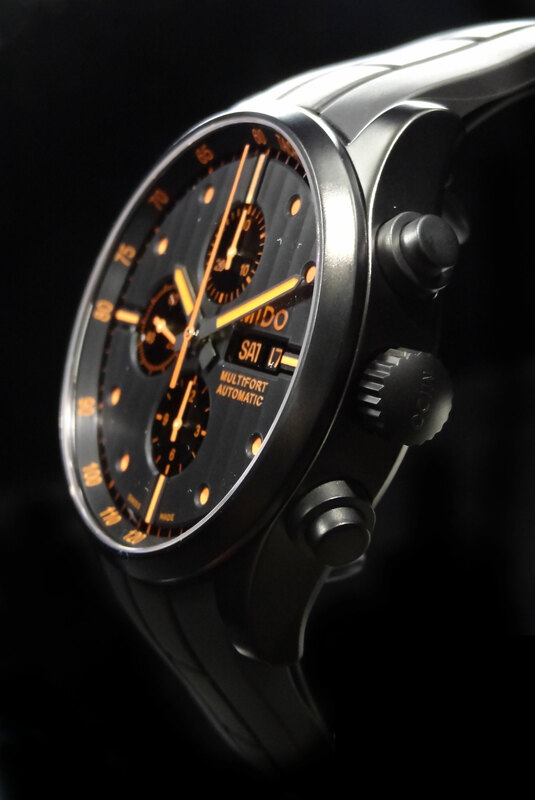 Now comes the best part… The Mido Multifort Chronograph PVD Special Edition M005.614.37.051.01 retails for only $2100! That is an incredible value for what you get. A top grade 7750, PVD, deployment clasp, & sapphire crystal can easily add up to be a $3,500 piece, if not more. Believe me… I have seen the same details in a $10,000 piece. I think that is an outrageous price to pay, no matter what the name brand is. But anyways, back to the Mido… This model is also available on a strap and in a standard automatic version. To see more of what Mido has to offer, please check them out HERE.